The future of Barcelona superstar Ivan Rakitic was hanging in the balance. The club’s sporting director has now provided a major update on his situation. Arsenal and Chelsea fans look away. We are barely a few fixtures into the regular season and we’ve been treated to a feast of surprises already from the best leagues across the continent. Football Espana reports that Chilean star Arturo Vidal has suffered an injury on the right knee once again in his venture with the national side. Barcelona have reportedly set their sights on signing Adrien Rabiot from Paris Saint-Germain before the Spanish transfer window closes on August 31. Barcelona are reported to have snubbed the opportunity to re-sign Yaya Toure during the ongoing transfer window. According to Marca, European champions Real Madrid are set to begin negotiations for Bayern's attacking prowess Thiago Alcantara amid Luka Modric's exit rumours. Manchester United have reportedly agreed contractual terms with Barcelona defender Yerry Mina and they are now left to finalise a fee with the Spanish champions. Manchester United and Chelsea have both made enquiries regarding the possible signing of Thiago Alcantara from Bayern Munich this summer. Chelsea and Manchester United have been linked with a move for Bayern Munich's Arturo Vidal, according to Bild. Chelsea and Manchester United could be prepared to go head-to-head to acquire the signature of Arturo Vidal from Bayern Munich this summer. Manchester United are reportedly prepared to offer Arturo Vidal with a bumper contract in order to lure him from Bayern Munich at the end of the season. Bayern Munich have reportedly joined Juventus in the race to sign Liverpool contract rebel Emre Can. The Germany international has been reluctant to extend his Reds contract, and it appears likely that he could leave on a free transfer at the end of the season. Manchester United are reportedly prepared to go head-to-head with Chelsea in the pursuit of Chile international Arturo Vidal at the end of the campaign. Chile international Arturo Vidal has admitted that he is aware of the speculation linking him with a switch to Chelsea from Bayern Munich. Chelsea manager Antonio Conte has hinted that he would be interested in pursuing a January move for Bayern Munich midfielder Arturo Vidal. 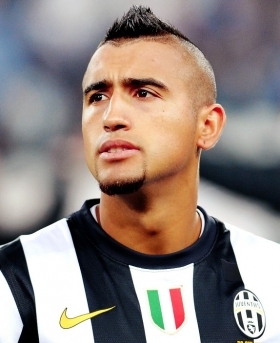 Bayern Munich open to Arturo Vidal sale? German champions Bayern Munich are prepared to cut ties with Chilean midfielder Arturo Vidal at the end of the current season. The 30-year-old has previously been linked with a reunion with Chelsea head coach Antonio Conte. Barcelona are reportedly interested in signing James Rodriguez, if Bayern Munich take the option of recruiting him on a permanent basis from Real Madrid. Inter Milan have been dealt a blow after Bayern Munich CEO Karl-Heinz Rummenigge ruled out selling Arturo Vidal to the Italian giants this summer. Inter Milan boss Luciano Spalletti has set his sights on signing Bayern Munich midfielder Arturo Vidal, who is also a transfer target for Manchester United. Bayern Munich manager Carlo Ancelotti has assured that Arturo Vidal will remain at the Allianz Arena for the upcoming campaign. The Chile international has been linked with a potential move to Manchester United this summer.